The silent hero Sumanth, known for his subtle performances as a calm and composed boy next door hero in films like Godavari, Yuvakudu, Golconda High school to name a few, last made a decent impression with his last release, the Gautam Tinanuri directed breezy love story Malli Raava. Now, the actor, who has wrapped the shooting of his next movie, the action thriller Idam Jagath, has begun his landmark 25th movie, which will be a supernatural thriller, on the lines of Nikhil Siddhartha's Karthikeya. The makers have decided to go the supernatural way for their next project. 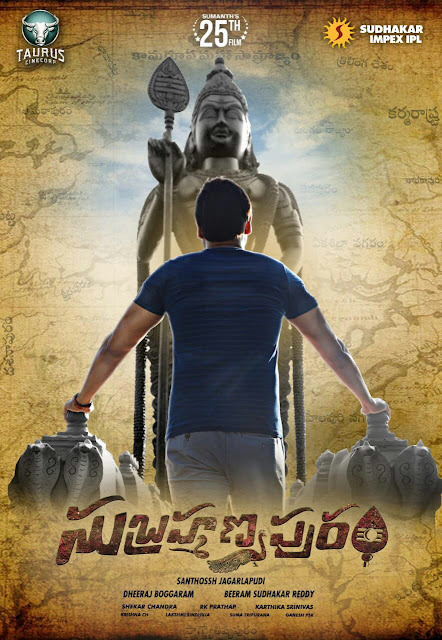 Titled Subramanyapuram, the first look of the movie was released recently, with Sumanth seen in the poster facing a giant statue of Lord Shiva, The movie, directed by Santhosh Jagarlapudi, costars Eesha Rebba as the leading lady, and the movie has already begun shooting, aiming a November release. Eesha recently scored a huge success with her recent release 'Awe'.